Conrad Williams is the award winning British author born in 1969 in Warrington and currently living in Manchester. 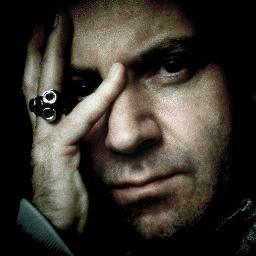 He won the British Fantasy Award for Best Newcomer in 1993, the same award for Best Novella in 2008 (The Scalding Room) and for Best Novel in 2010 (One) and also the International Horror Guild Award for Best Novel in 2006 (The Unblemished). He published 7 novels, “Head Injuries” in 1998, “London Revenant” in 2004, “The Unblemished” in 2006, “One” in 2009, “Decay Inevitable” in 2009, “Blonde on a Stick” in 2010, “Loss of Separation” in 2011, 6 novellas, “Nearly People” in 2001, “Game” in 2004, “The Scalding Rooms” in 2007, “Rain” in 2007, “The Fox” in 2013, “The Jungle” in 2013, and 2 collections of short stories, “Use Once, Then Destroy” in 2004, “Born with Teeth” in 2012. 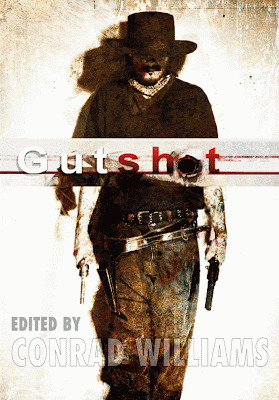 Conrad Williams also edited an anthology released by PS Publishing in 2011, “Gutshot”. With the exception of a few novellas and short stories you didn’t publish anything new in the past couple of years. At what are you working for the moment and when would the readers see a new novel signed by Conrad Williams? 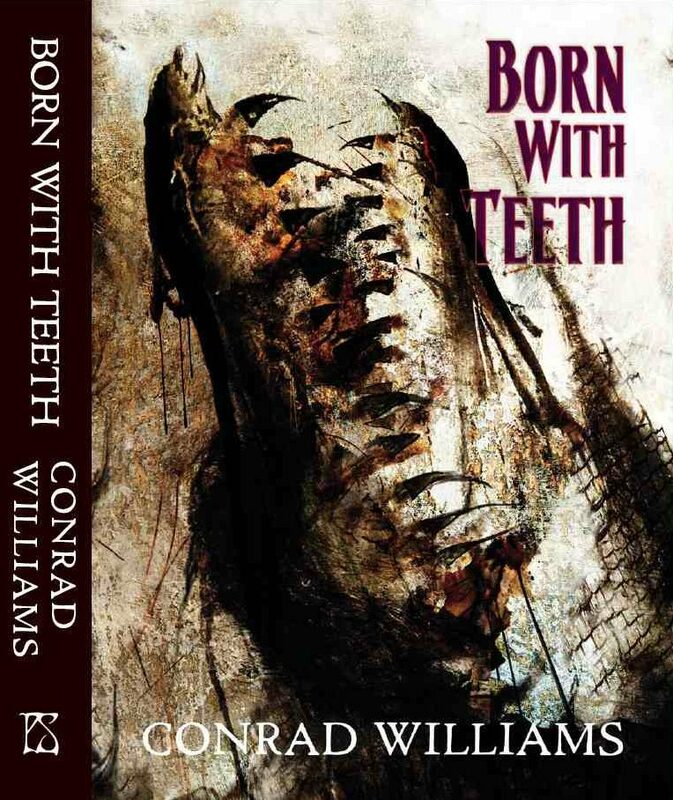 Conrad Williams: I've been busy this year working on two new novels. One is a prequel to a major new video game from Sony, the other is a horror novel, a haunted house story about a writer. Both are nearing completion. I'm hoping they'll both be available to readers soon. Mihai A: Speaking of such interruptions in a writer’s career, can it be said that something like writers block exists? Can an author feel burned-out before her/his time? 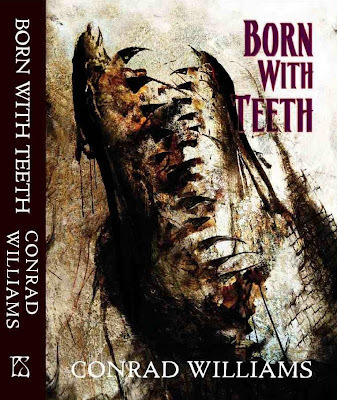 Conrad Williams: I don't really believe in writer's block. If you get stuck on a piece of writing, you can always move on to something else and come back to the piece you're having trouble with at a later date. As for burning out… I hope not. Mihai A: Another writer’s tenet says “write what you know”. Was this statement a guide along your career? Are all your stories started from a personal point of view or experience? Conrad Williams: I think all novels have to be grounded in some form of reality in order to reach a certain level of authenticity. I certainly use fragments from my experience in an attempt to reinforce much of the made-up stuff. I'm sure all writers must do that to a lesser or greater degree. MA: Plenty of your short stories are centered on the places or memories of your childhood. Is this a way to feed your nostalgia? At the same time, are your stories a method of exorcizing your fears? CW: I think back to my past more and more, and I'm planning a novel called WIRE, set in my home town. It's about a young boy growing up under the shadow of the Yorkshire Ripper. It's also about single gloves, a passion of mine. 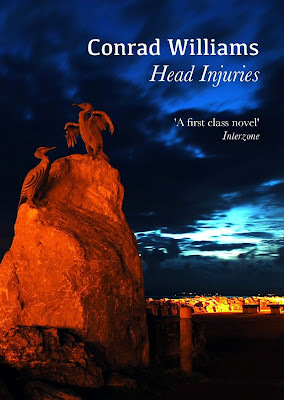 I wrote a blog post for Mulholland Books, now appearing on my own website, which gives a little insight into what kind of novel it is likely to be. MA: Speaking of nostalgia, “The Veteran” is a story of a man looking in the past, while “The Pike” talks about missed chances. I believe that at some point in your life a football career was possible for you. Do you regret not taking the path of that career? If it were possible, would you have changed your writer career, as successful as it is, with a football one? CW: No, I was never good enough to play professional football, as much as I would have liked to have turned out for Liverpool FC. I was pretty good, and I still play regularly, both for my local five-a-side team and England Writers. It helps that I'm naturally left-footed, right-footed players are more common so there's more competition for those positions. MA: Besides the personal approach of a writer of his stories how important is originality in today’s fiction? Do you believe that today’s horror and dark fantasy, genres you write in, need more originality or are going in the right direction? CW: It's all been done before. I suppose the real challenge is coming up with a new way of offering the same story. Look at “House of Leaves”, which is a ghost story and a retelling of the minotaur myth, but in a stunningly novel and challenging way. 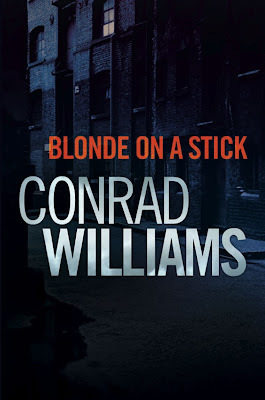 MA: Your short fiction, and not only, spans over many genres and was topped in 2010 with the publishing of your crime novel “Blonde on a Stick”. How important is for a writer to explore outside the borders of genres? Is the confinement to certain limits an impediment in the creation of quality fiction? CW: I'm not sure how important it is. There's the danger it might dilute your readership, if readers are so narrow-minded as to only read within one field; I doubt they are. I had an idea for a crime novel; I wrote it. I want to write what occurs to me. If that hobbles me market wise, there's little I can do about it. I don't want writing to become a chore. MA: In an interview back in 2008 there were a couple of questions about genres, novels not suited for a certain label or publisher, the same writer with several pen names for different genres. Are such concessions absolutely necessary for a writer to achieve success, financially or notoriously? How far would you go in order to achieve further success, both financially and notoriously? CW: I have published a number of stories under different pen names (I have three). 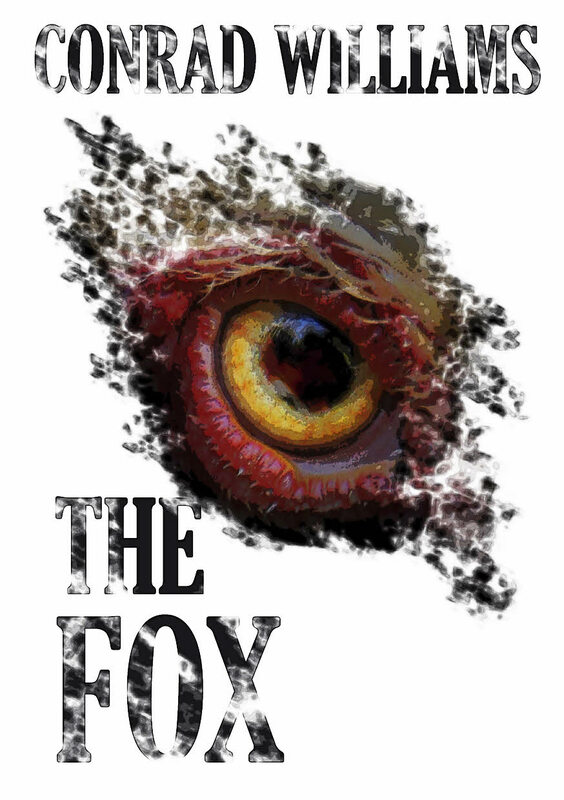 I'm tempted to offer the new novel under a pseudonym, just to see what happens. I don't think a writer has to make any concessions. I think you just need to be dedicated, thick-skinned and stubborn. I firmly believe that if you desire something, it will come to you as long as you work as hard as possible. MA: Your fiction was nominated for many prestigious awards and you also won several of these awards. How much such nominations and award winnings can change the career of a writer? Is winning such awards one of your personal goals? CW: Winning awards is not something I plan for. It's a bonus, an acknowledgement that what you're trying to do is being recognised. I'm not sure how much it can change someone's career, although I do know a recently shortlisted writer was offered a book deal partly off the back of that achievement. MA: I understand that one of your characters, Gravier, demands an appearance in another story. But he is hardly the only one, Mal MacCreadle has several appearances in your works, while common locations or buildings can be found in your stories too. Why the need to work further with the same characters or locations? Is there for you a sense of dissatisfaction with the way they turned up in the first place? CW: It's to do with voice, I suppose, or presence. Mal MacCreadle tends to enjoy a cameo in a lot of what I do just because I like him and he was the star of my first anthologised short story (“MacCreadle's Bike” in Darklands, 2, 1992). Gravier was enormous fun to play around with, and I think he'd a strong enough character to be able to shoulder another story. It's nothing to do with wanting to do justice to a character because of a lingering sense of failure. And some locations just get under the skin. Seven Arches, a viaduct in Warrington, is one such place that carries intense resonances for me. I saw it every day out of my bedroom window; it was both a sinister and familiar place, a fertile setting. MA: With such an experience in writing short and long fiction may I ask which one do you prefer, the shorter form or the longer one? How can one help you improve the other? CW: I started off writing short stories, and I love being asked to contribute to anthologies, but I set out to be a novelist, so that's where I concentrate most of my energies these days. A good foundation in short story writing has taught me to try to hold back and be economical, even in the more expansive arena of a novel. MA: Your wife is a writer too. What are the advantages and disadvantages of having a fellow writer in the house? Can such a situation raise a sense of competition more than the usual? CW: My wife is a writer, yes. And a very good one. She's won awards for her short fiction. She too is working on a couple of novels, but I don't feel there's any competition going on between us, though she does sometimes explore quite dark themes. MA: You have an MA in Creative Writing and you taught such classes in the past. Is this a process that goes both ways though? How much did you have to learn from your students in your turn? CW: Writing is a necessarily solitary practice. I don't mix with people much during the day while I'm trying to wring the words out. I really enjoyed being in the classroom with a bunch of enthusiastic undergraduates. I like being among writers. I find it enormously inspiring. MA: You not only write short fiction, but you also edited an anthology for PS Publishing, “Gutshot”. Was it difficult to be on the other side of the submission process? Was the process of selection made more difficult or it was easier to deal with it due to your experience as a writer with the story submissions? MA: If I am not mistaken, “Head Injuries” was optioned for movie with you writing the script, but the project failed to come to an end. 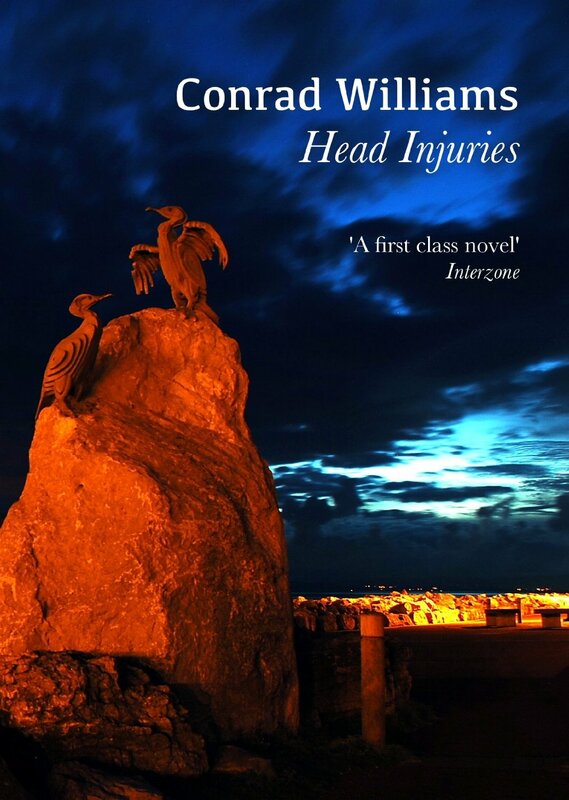 Why didn’t “Head Injuries” end up as a movie too? How was the experience of working on a movie script? CW: Most options never become movies. I didn't get my hopes up, despite working on the screenplay and going for meetings with Michael Winterbottom, and a script editor who was never anything less than enthusiastic. Writing a screenplay is a completely different discipline and depends more on dialogue and action to move the story forward. There's no internal narrator. So you have to attack the story from a different angle. Possibly my failing, as a novice, was that I thought they wanted an adaptation of the novel they bought the rights to. When I gave it to them, they said they wanted the same location, the same characters, the same story, but… different. MA: Given the chance, which of your stories would you like to see made into movies? Who would you like to see playing your characters and who directing such movies? 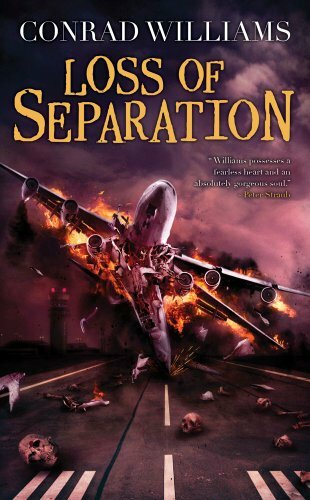 CW: I'd love to see “Loss of Separation” turned into a really dark, intense, claustrophobic thriller. I'd want it set in Britain and I'd want British actors. So I'd have Paul Roan played by Paddy Considine, Ruth Fincher would have to be someone like Rebecca Hall, who possess that darkness, that haunting quality. Tamara Dzubia would be played by someone beautiful but fragile, Gemma Arterton, perhaps. Charlie Finglass I always imagined played by Albert Finney. Amy Slade, Paul's damaged guardian angel, would be someone like Emma Thompson. And I'd have someone young and hungry such as Ben Wheatley or Gareth Edwards to direct it. MA: What are your other future plans when it comes to writing? CW: I have a lot of novels I want to write. There's “Wire”. 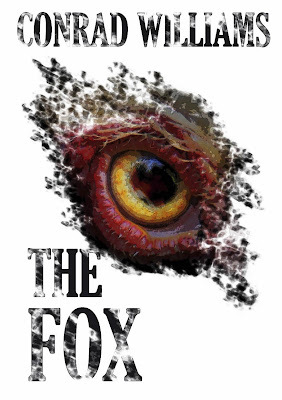 But I also want to write a huge horror fantasy based in Howling Mile about a minor character that appeared in my novella “The Scalding Rooms”. I want to write a sequel to “Blonde on a Stick”… I'd like to have a crack at an original screenplay, and I have an idea for a TV series that would be fun to work on, perhaps the perfect antidote to all the grim stuff… The ideas are stacked up. It's just getting around to executing them that's the trick. Thanks for the excellent questions. I enjoyed it.